Any Baedeker will tell us "where" we ought to travel, but only Alain de Botton will tell us "how" and "why". 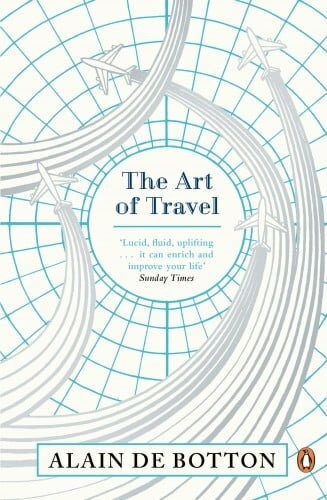 With the help of a selection of writers, artists and thinkers – including Flaubert, Edward Hopper, Wordsworth and Van Gogh – Alain de Botton’s bestselling The Art of Travel provides invaluable insights into everything from holiday romance to hotel mini-bars, airports to sight-seeing. 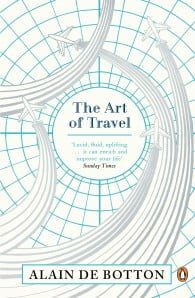 The perfect antidote to those guides that tell us what to do when we get there, The Art of Travel tries to explain why we really went in the first place – and helpfully suggests how we might be happier on our journeys. Alain de Botton was born in Zurich, Switzerland in 1969 and now lives in London. He is a writer of essayistic books that have been described as a ‘philosophy of everyday life.’ He’s written on love, travel, architecture and literature. His books have been bestsellers in 30 countries. Alain also started and helps to run a school in London called The School of Life, dedicated to a new vision of education. Alain’s latest book, published in February 2014, is titled The News: A User’s Manual. Alain started writing at a young age. His first book, Essays in Love (titled On Love in the US), was published when he was twenty-three.